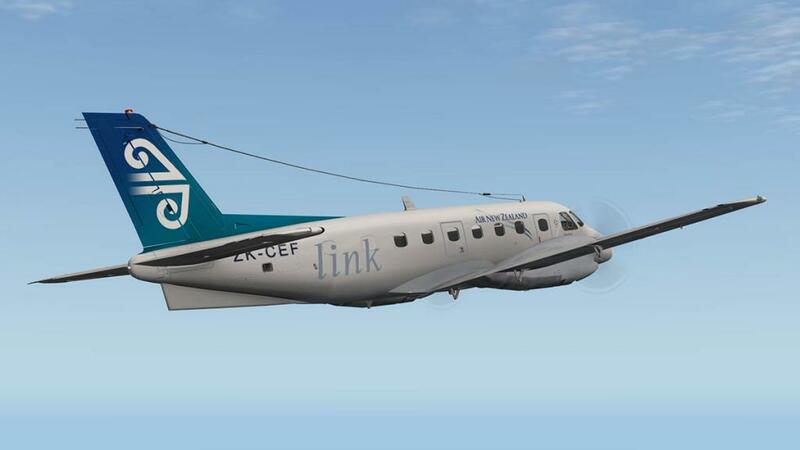 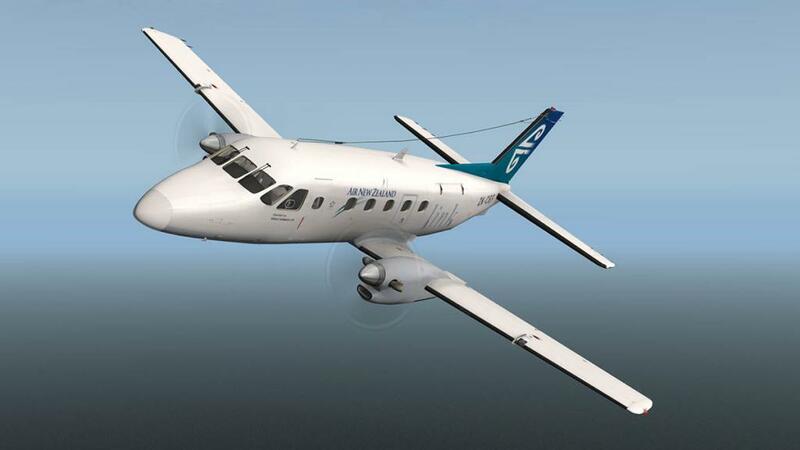 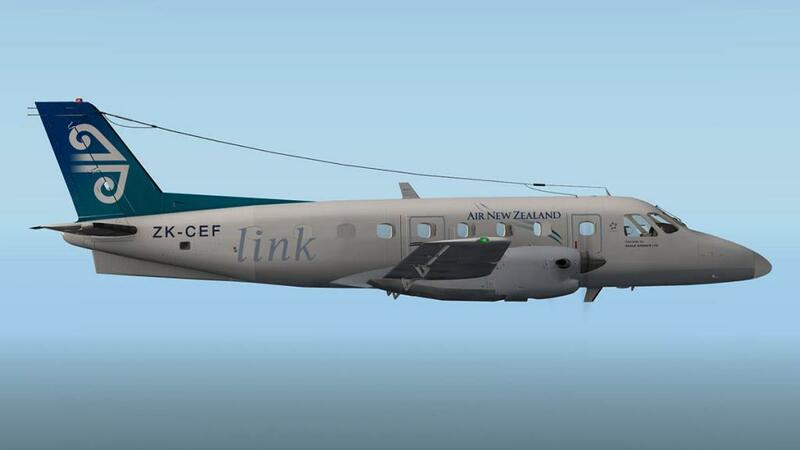 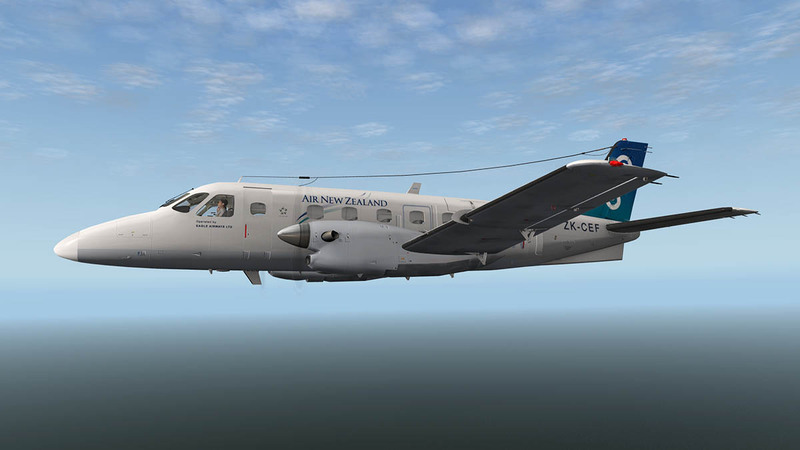 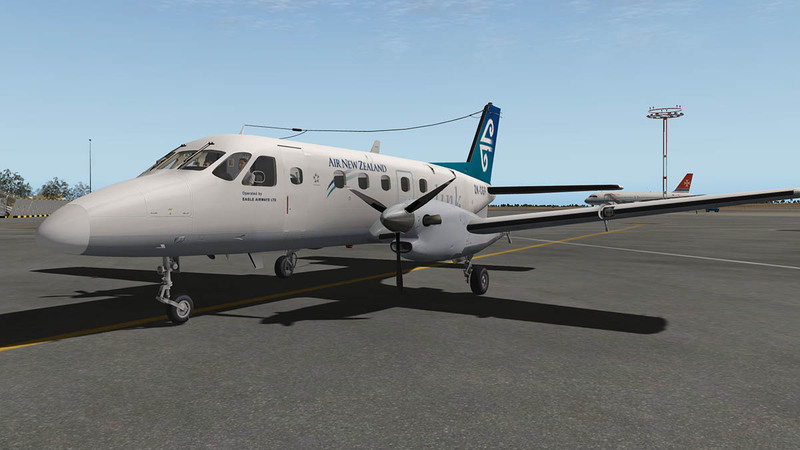 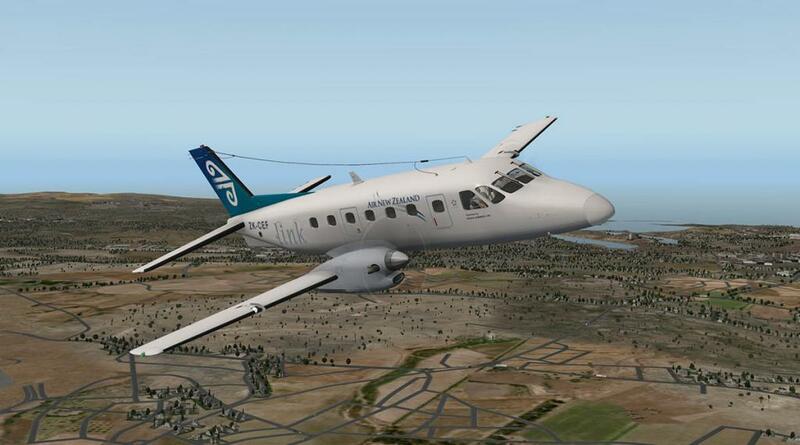 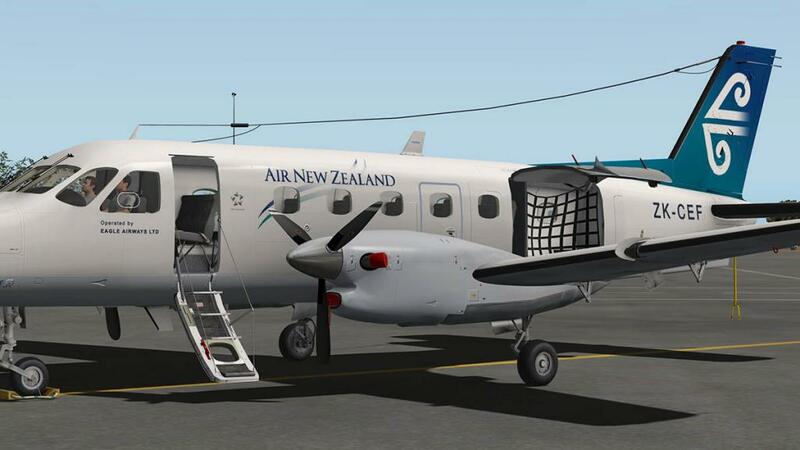 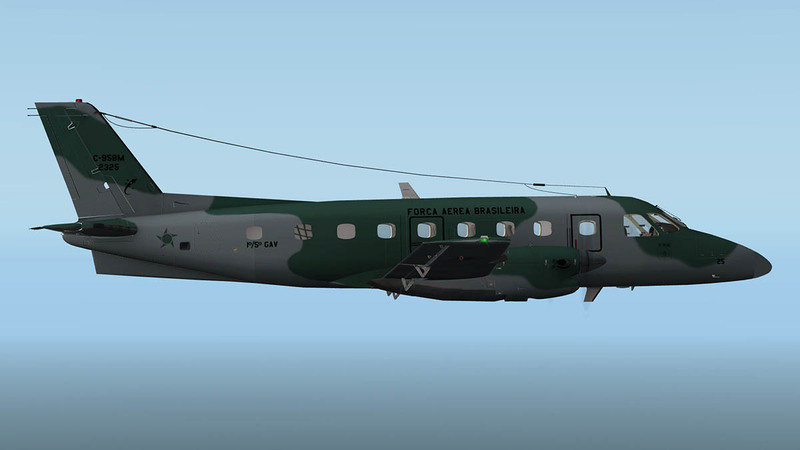 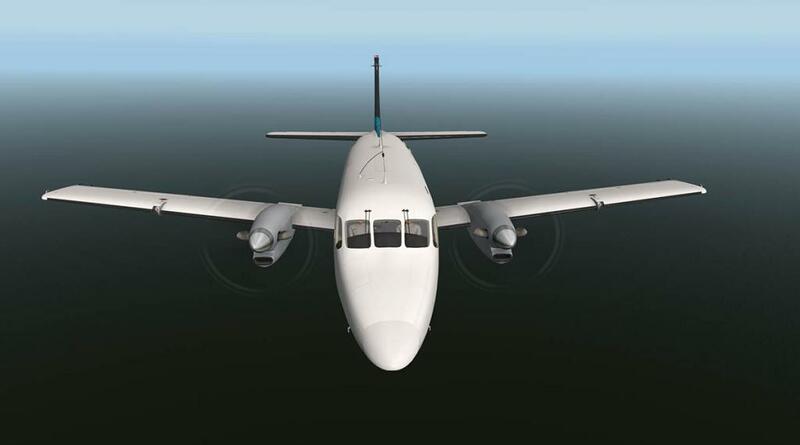 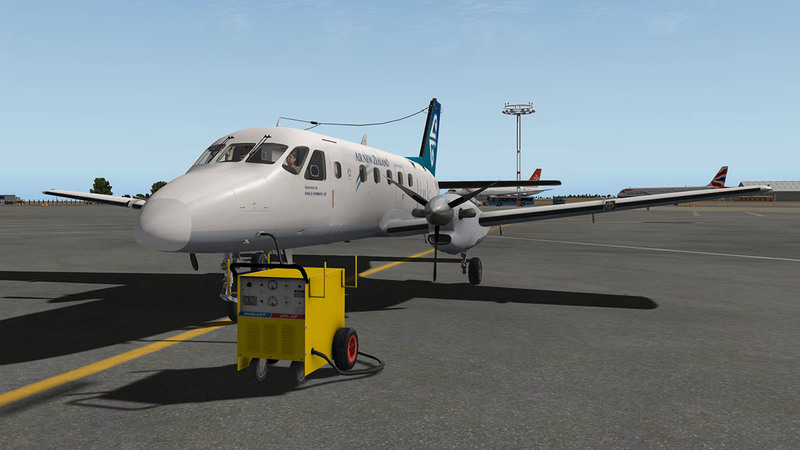 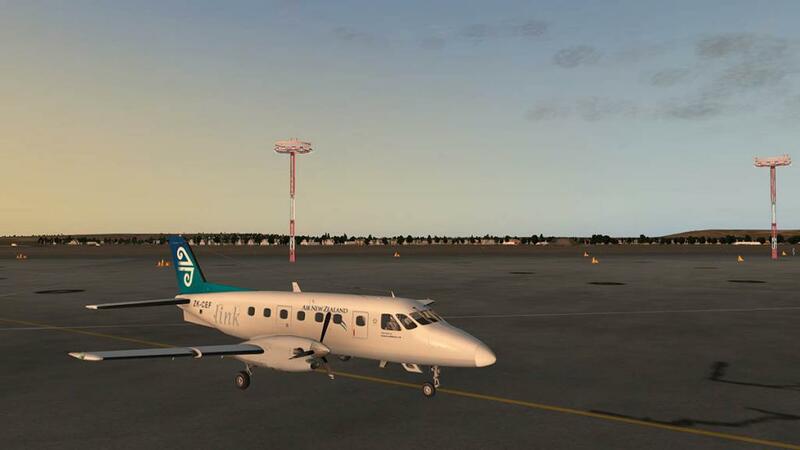 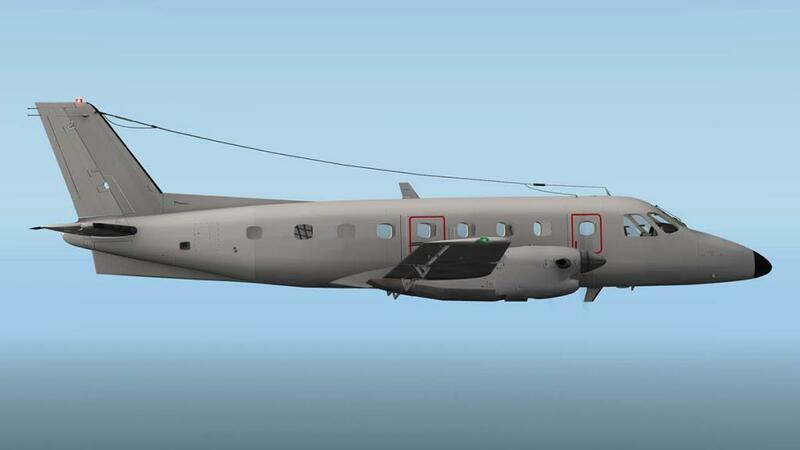 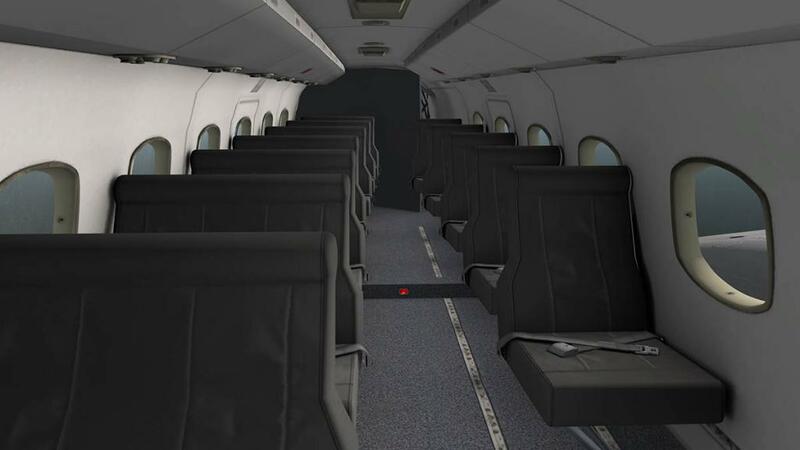 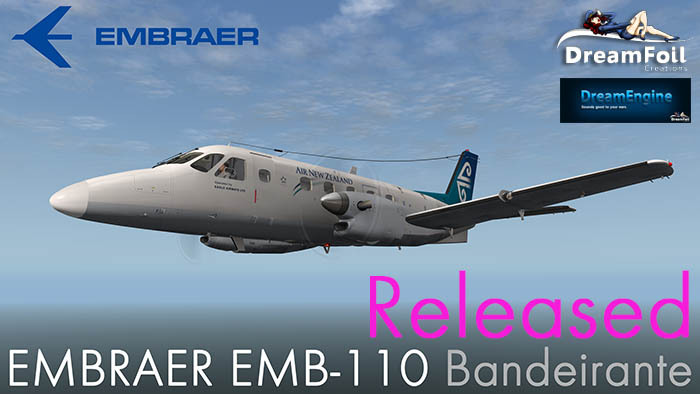 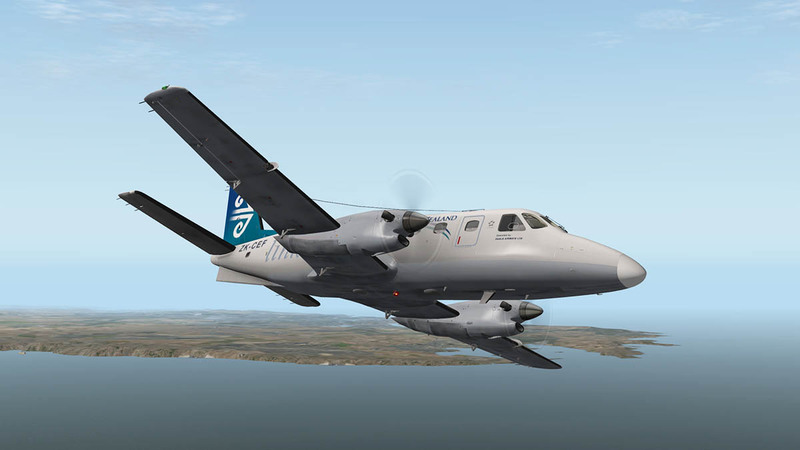 Dreamfoil Creations has released the Embraer 110 - Bandeirantes or "Bandit" Twin-TurboProp 15-21 passenger aircraft. A total of 122 EMB 110 aircraft (all variants) remained in airline service worldwide with some 45 airlines. 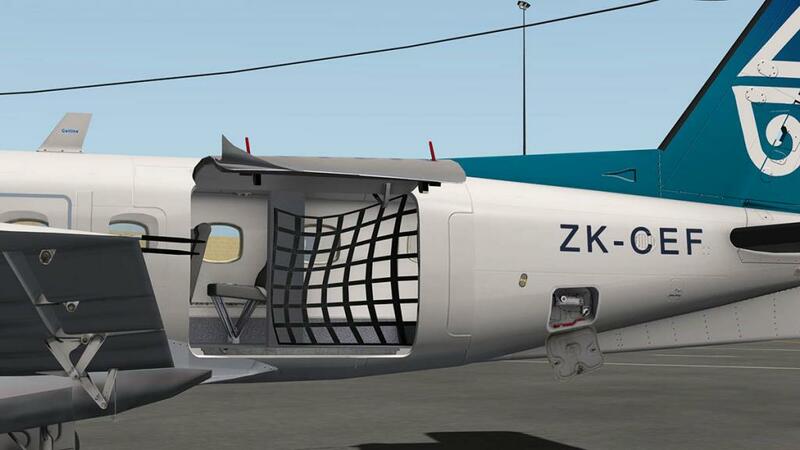 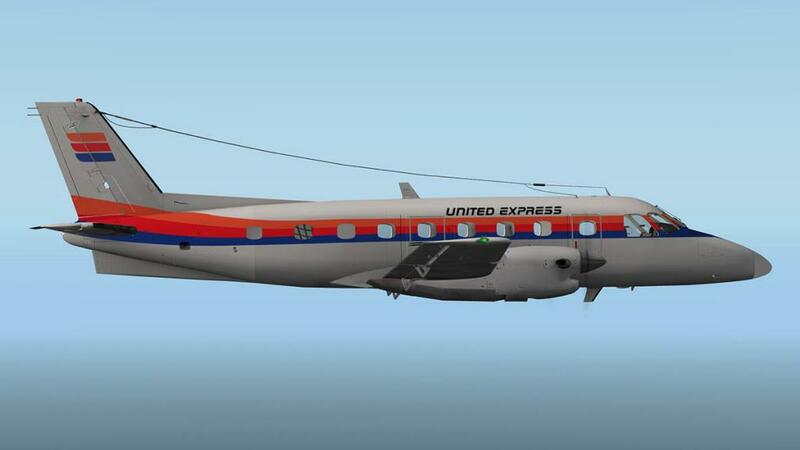 This is a high quality aircraft release with a high quality 3D model and textures and the detailing is exceptional. 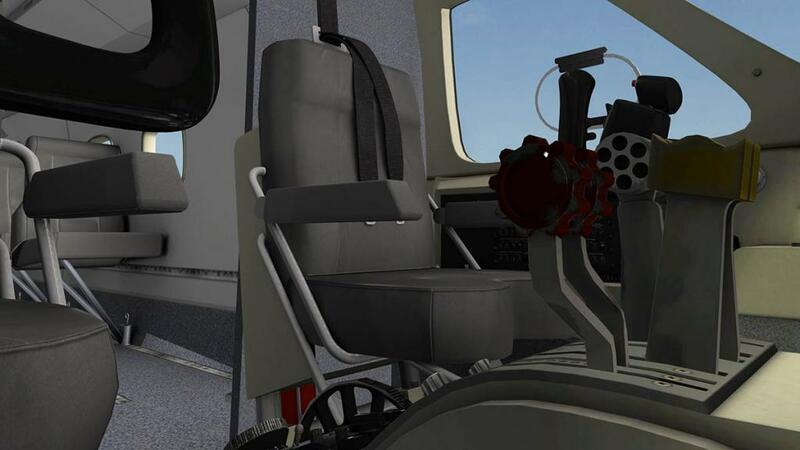 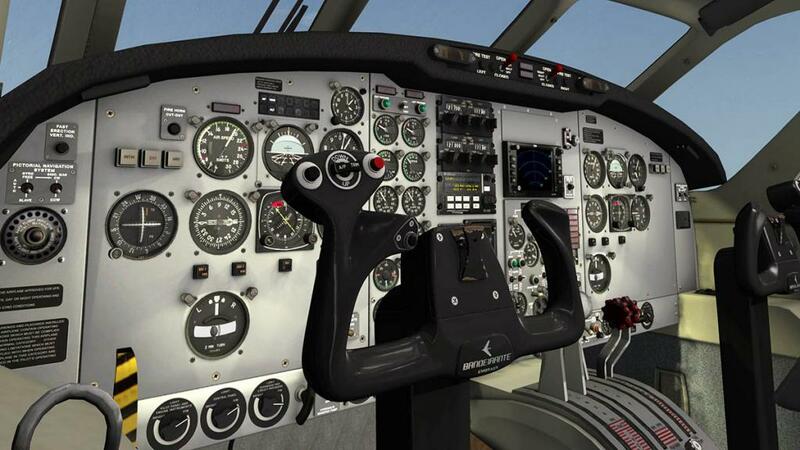 Internal Features include: Highly detailed and functional cockpit and cabin, cockpit and Instruments lights available with great lighting effects, full simulation of all switches and hydraulic simulation. 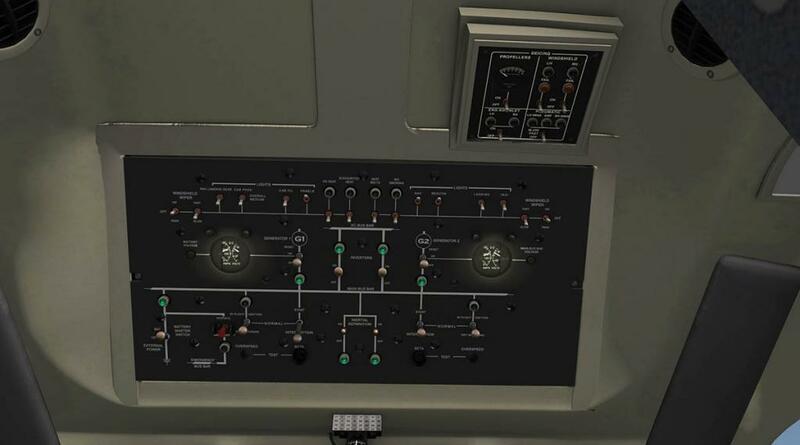 Air Conditioner simulation and hotstart simulation for manual startup. 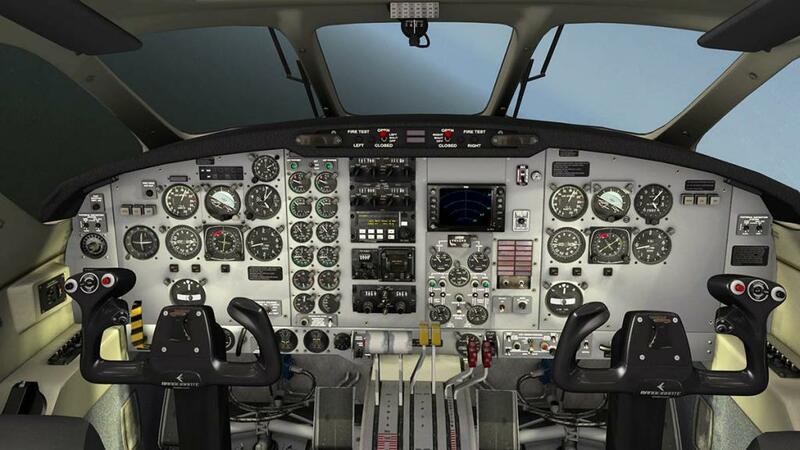 Fully articulated and animated sun visors and Wx radar simulation. 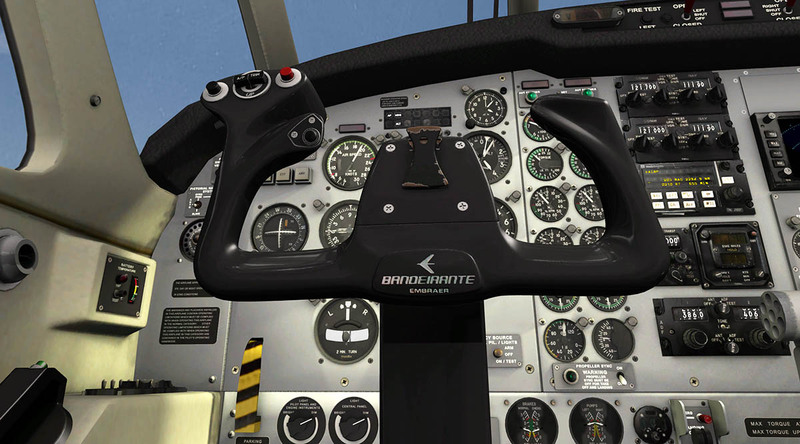 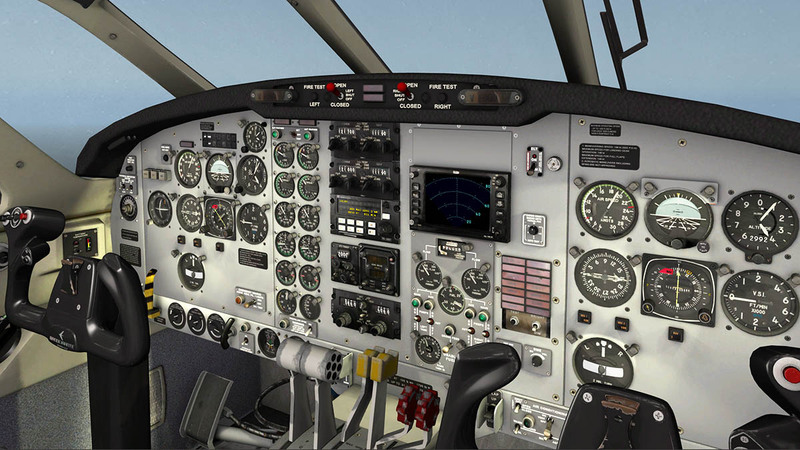 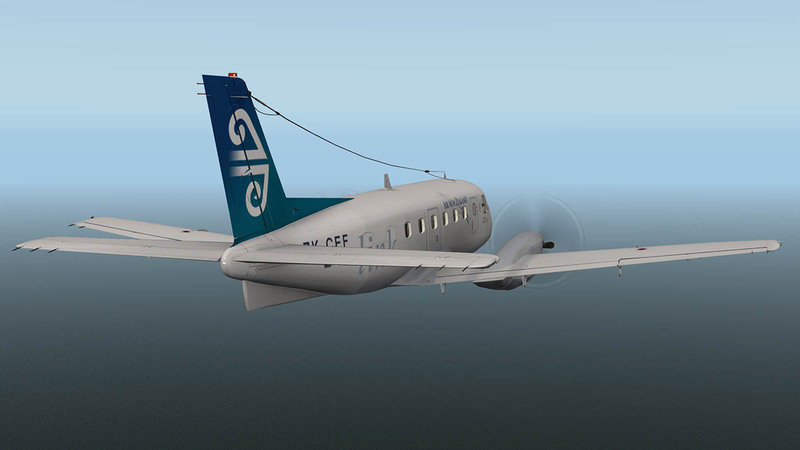 External Features Include: Caps for turbine inlet, outlet and pitot, GPU (Ground Power Unit) available, Prop Disc effects feature 3D holographic side view, which changes depending on prop settings, Windshield rain effects: rain drops move realistically in accordance with airspeed, get cleared by wipers, and repopulate after wipers are shut off. 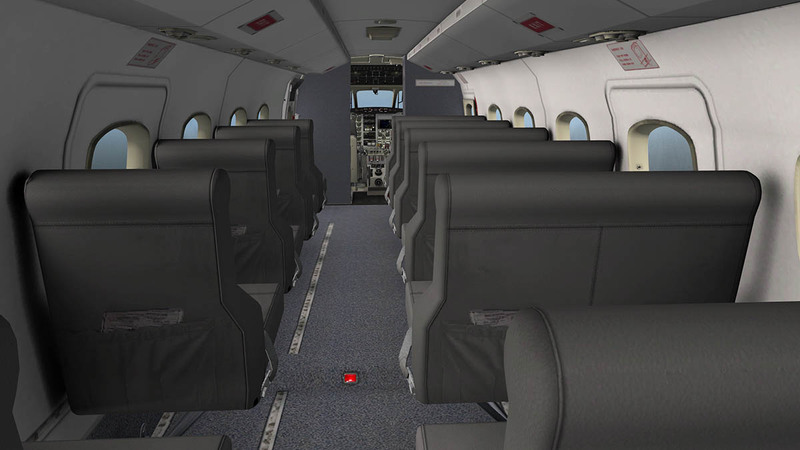 The aircraft comes with SmartMenu is accessible by clicking on right edge of panel, it will show a circular menu with easy access functions, including SmartLivery which is easy livery changing with image previews. Engines: The aircraft is powered by two Pratt & Whitney PT6A-34 turboprop engines. The PT6A-34 is a reserve flow engine, free-turbine type, incorporating two independent turbines: one driving a four-stage compressor and another driving the propeller through a reduction gear box.